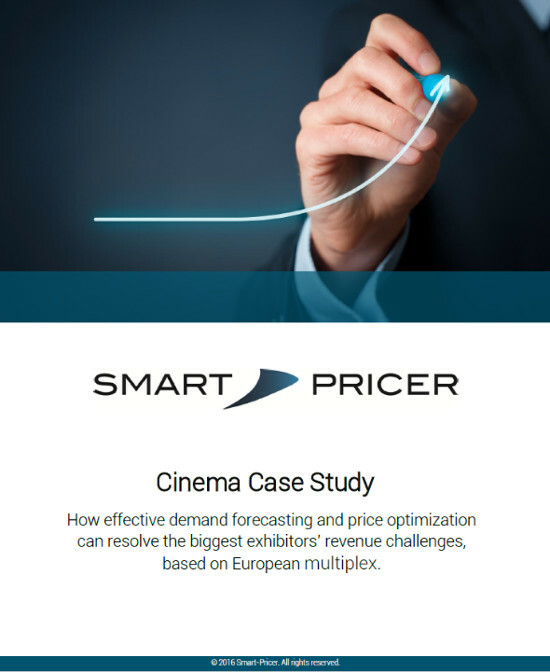 In this cinema case study, we reviewed demand forecasting and price optimization at a European movie theater. The initial questions for the approach included: How can we increase ticket revenues without losing customers? What can we do to push online sales? How to stimulate demand? Moving beyond traditional approaches by introducing dynamic pricing. This shows higher revenue uplifts. After all, Smart Pricer’s Tool gives an answer to the two key questions: How many will come and what is the right price-mix for each show. We offer three options to implement dynamic pricing in cinemas: Dynamic ticket prices, New ticket types, and dynamic price categories. By shifting demand with attractive prices to these shows and increase overall sales as a result. By utilizing the price insensitivity of spontaneous movie-goers with higher ticket prices. By keeping a constant number of complaints and a constant net promoter score.